MK Uri Maklev(UTJ) says that haredi parties are working to cancel by-laws allowing Shabbat commerce and demand a new Supreme Court hearing. 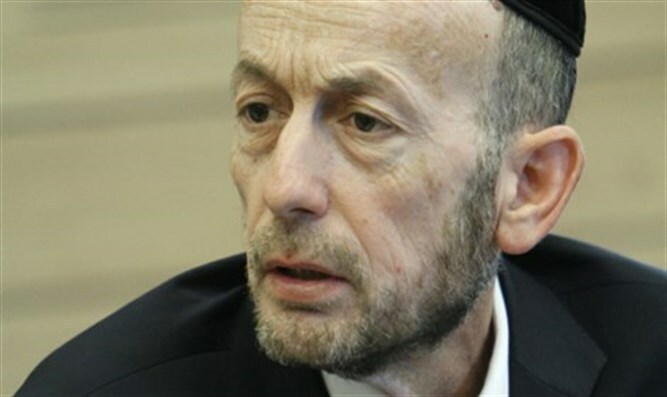 MK Uri Maklev(UTJ) referred in an interview with Arutz Sheva to a meeting which took place between the haredi MKS and the prime minister regarding the safeguarding of the Shabbat in the public sphere. "The meeting was a continuation of the discussions regarding the Shabbat and the authority of Minister Deri. At present we are focusing on two things. Firstly, authorizing Interior Minister Aryeh Deri to cancel municipal by-laws and to affirm by-laws associated with commerce on Shabbat. This will weaken the Supreme Court's ability to intervene. "The second thing is to ask the Supreme Court to conduct a hearing in a broader plenum. It is more than probable that the court could have waited on this matter. On many issues it doesn't hurry to reach a ruling, so what is reason it is suddenly in a hurry regarding the Shabbat?" asked Maklev. Maklev was asked whether the government understands the importance of Shabbat. He replied that "there are no arguments on the matter of Shabbat. On Shabbat there can be no compromises, we can't have a half or a quarter of a Shabbat. We are initiating legislation to neutralize the possibilty of local authorities promulgating by-laws which will harm the Shabbat and also to rectify the situation in places where there are no by-laws at present preventing Shabbat commerce." "We still need to explain the ethical aspects of Shabbat. We know that the Shabbat guards us more than we guard the Shabbat [a statement attributed to early Zionist essayist Ahad Haam]," concluded Maklev.